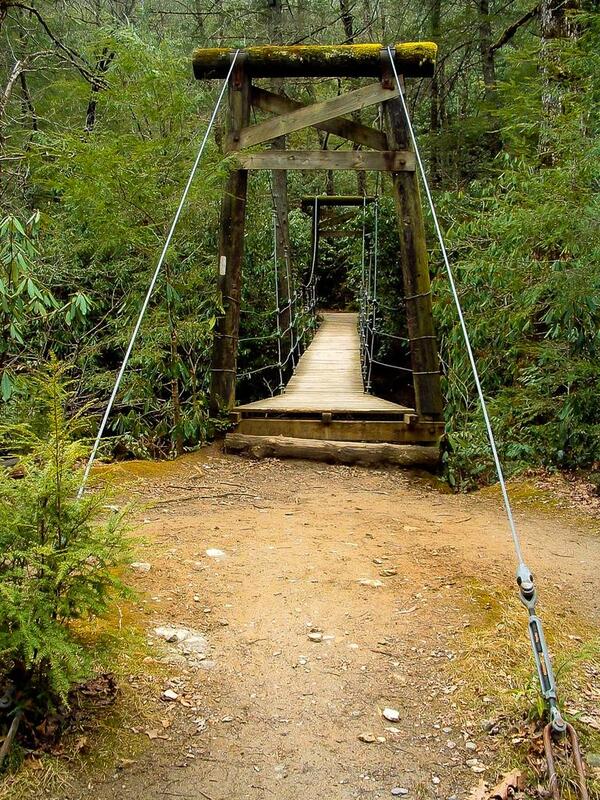 This suspension bridge gives hikers and mountain bikers a dry way across the South Mills River. This is the first crossing near the Turkeypen trailhead. From here upstream to Cantrell Creek, there are bridges to help you across - if they haven't been washed out! Downstream, there are only fords.